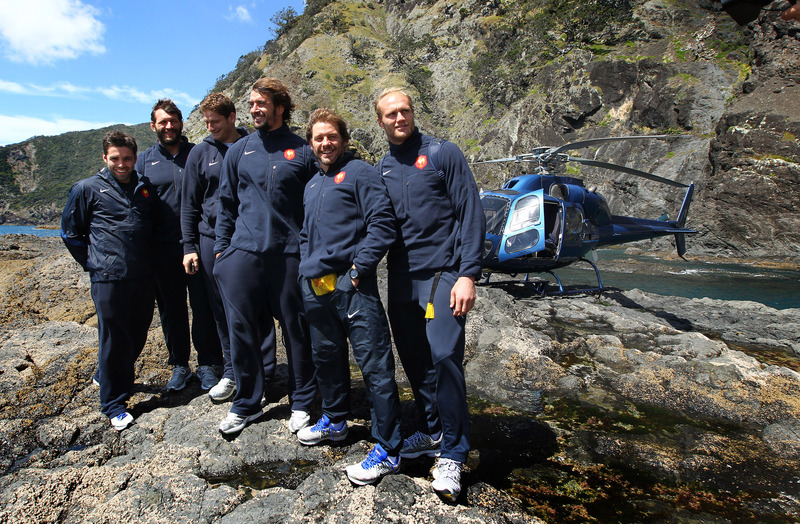 French Rugby stars took time-out to focus ahead of this weekend’s Rugby World Cup Final with a quick heli-fishing trip on Auckland’s Hauraki Gulf. Former Captain Lionel Nallet was joined by five of his team mates including half-back Dimitri Yachvili, Julien Bonnaire and Pascal Pape for an afternoon of quiet fishing. The group flew with Helilink to Auckland’s stunning remote island of Great Barrier where they fished from a private rocky ledge against a backdrop of ocean. Local snapper and kahawhai were the catch of the day, with the players reeling-in several fish between them over a two-hour period. With the crucial game fast approaching, flanker Julien Bonnaire says the experience was like nothing else he’d ever done before. “It was a quick trip but the scenery was amazing and the fish were biting straight away. On the journey back we were fortunate enough to spot a huge pod of dolphins swimming just outside the city. It was incredible,” he says. French lock Pascal Pape added that he was ready for the penultimate match against the All Blacks. “We’re all very focused on the game and looking forward to the challenge,” he says. Great Barrier, one of 50 islands in Auckland’s Hauraki Gulf Marine Park – is renowned for its beautiful surf beaches and myriad of walking tracks. 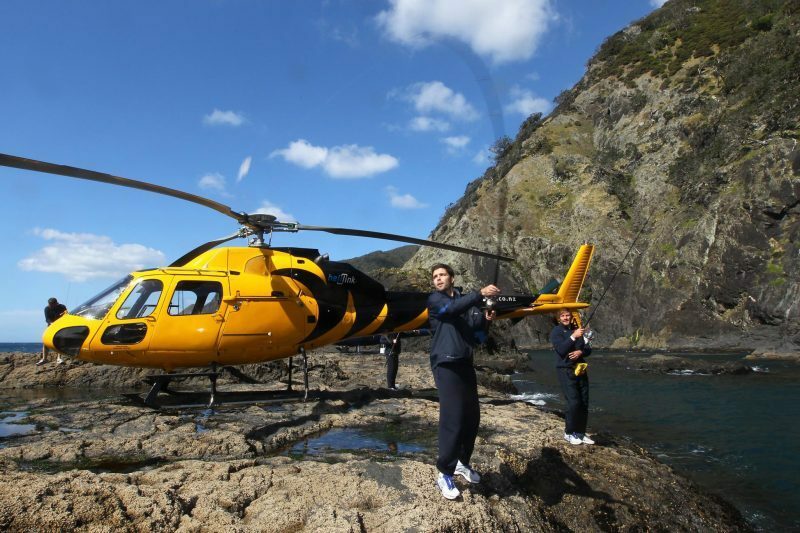 Helilink runs fishing trips on Auckland’s harbour which is a mecca for fine fishing and stunning wildlife. Heli-fishing is one of many on water activities available in Auckland’s marine-based city. Next Next post: Parisian Property Prices Finally Cooling – But for How Long?